Car rental is a great way to have the best of both worlds – you get the the convenience of getting around on your own four wheels rather than relying on public transport. And if you’ve only moved to Hong Kong for a limited period of time, you don’t have to deal with the high cost of maintaining a car in this city. With fixed monthly instalments, and expenses such as insurance, government tax and maintenance included in the rate, leasing allows you to plan your budget and avoid the high initial expenditure that comes with purchasing a car. Richard also points out that there are occasions when people need a car, but don’t want to sign up for a lengthy commitment that comes with a lease. Renting can give you freedom and flexibility, and, with daily, weekly and monthly rentals available, there are options to suit your individual needs. “Often there are special occasions when you have to transport family or goods, and this can be made much easier by having a car available rather than trying to use buses and taxis. 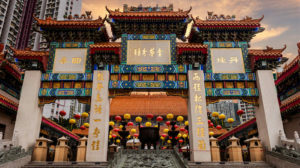 If you have visitors in town and you want to show them Hong Kong, having a car allows you to go where and when you want, and you can stop to explore as often as you like,” he adds. When you rent from Hawk Rent A Car, they will deliver the vehicle to you and collect it when you have finished with it. They also handle all the administrative and technical details, so all you need to do is figure out how to negotiate Hong Kong’s maze of one-way streets!